The end of the year is fast approaching and it’s time to look back and appreciate the good work we’ve put in, before we look forward and plan for the next one. To say 2018 has been brilliant may be an understatement. 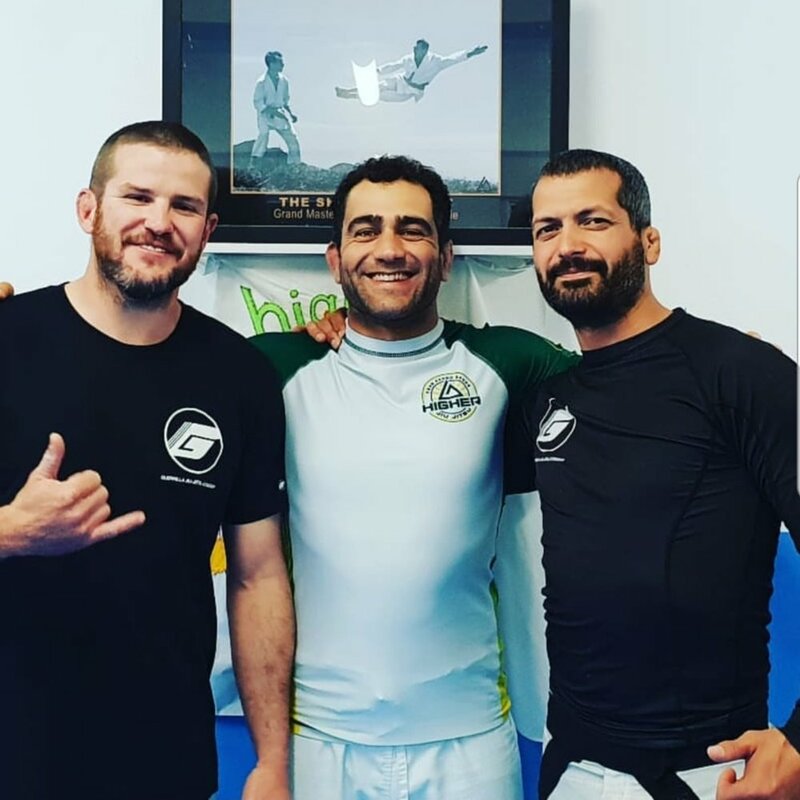 We’ve built on our humble beginnings, we’ve doubled down on our strengths, and we’ve consolidated our school as the premier spot for learning pure Gracie Jiu Jitsu in Sydney. Throughout this entire year, and with every class, we congregated and celebrated in learning our much loved martial art. Beyond these awesome times were some super special moments and here we'll outline them for posterity. It all kicked off in January, when we welcomed Steve Maxwell in for two awesome seminars. We did a Gracie Jiu Jitsu Core Concepts and a Jiu Jitsu for a Lifetime. During this time we had a number of guests come out of the woodwork and come by Higher Jiu Jitsu. And we had a couple new members sign up as a result of Steve coming in, which is always nice. We also had Burak Sarman in for his first ever seminar at HJJ. 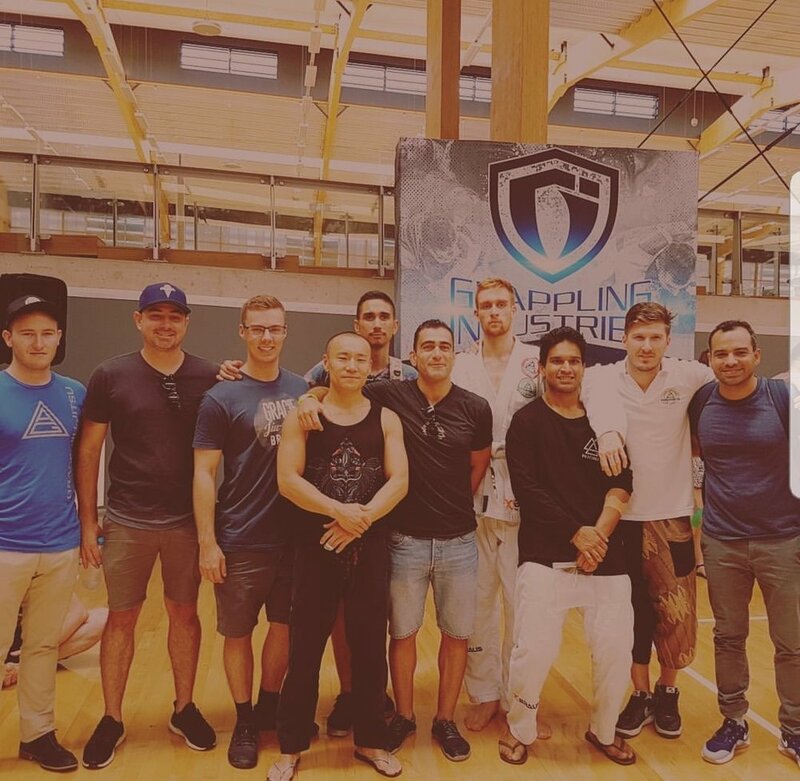 It confirmed that our affiliation with Pedro Sauer Association extends beyond Leverage Jiu Jitsu and includes a littany of awesome jiu jitsu practitioners that are here to help us grow and improve on the mats. In February, in addition to some slick classes, I got to host a Gracie Jiu Jitsu self defence workshop at Eleni's Yoga. This was important mostly for the reason of spreading the good word of Gracie Jiu Jitsu to every day people who would otherwise not have the confidence or the interest to come into a conventional dojo environment. Eleni's Yogis lapped up the body mechanics, and found leverage an amazing concept and we left them super keen for more. We also had our biggest team yet enter the Grappling Industries tournament and put on an excellent showing. The boys trained hard for this, and competed well, repping our school and themselves with pride and valour. The third month of 2018 was a siginifcant one as we organised and ran our very first Leverage Camp in Melbourne. We had 9 people come down to Melbourne and train and learn with our brother/sister school. Prof Phil put on an epic weekend of fun and we were left wanting more and more. On this day we acknowledged the good work of our partners the PCYC City of Sydney and went out into the Sydney public to share our martial art and help to fundraise for kids programs at the PCYC. PCYC's mission is to Empower Young People. It's even more awesome considering we've partnered with the PCYC to deliver our very own Jits4Kids program, teaching Gracie Jiu Jitsu to the kids of our community. The Hangouts started with Oscar and I coming together on a Friday night to discuss the business side of our academy. During the Hangouts, we'd eat good food, enjoy a few beverages, and work on how to improve the school. A couple drinks in, they became less about business and more about hanging out and having fun. It's how the idea was created to open up the experience to all members of HJJ. And now, the first Friday /weekend of every month is our opportunity to come together as a team and enjoy eachother's company. Our first grading of the year happened in June. Phil came up from Melbourne and we ran a special grading. Johnny Ma, AJ, and Danny put in beautiful tests and were awarded their well deserved blue belts. These are boys who embody the HJJ spirit and it was an honour to tie the blue belt around their waist. June was the month we kicked off our Women's Only program. 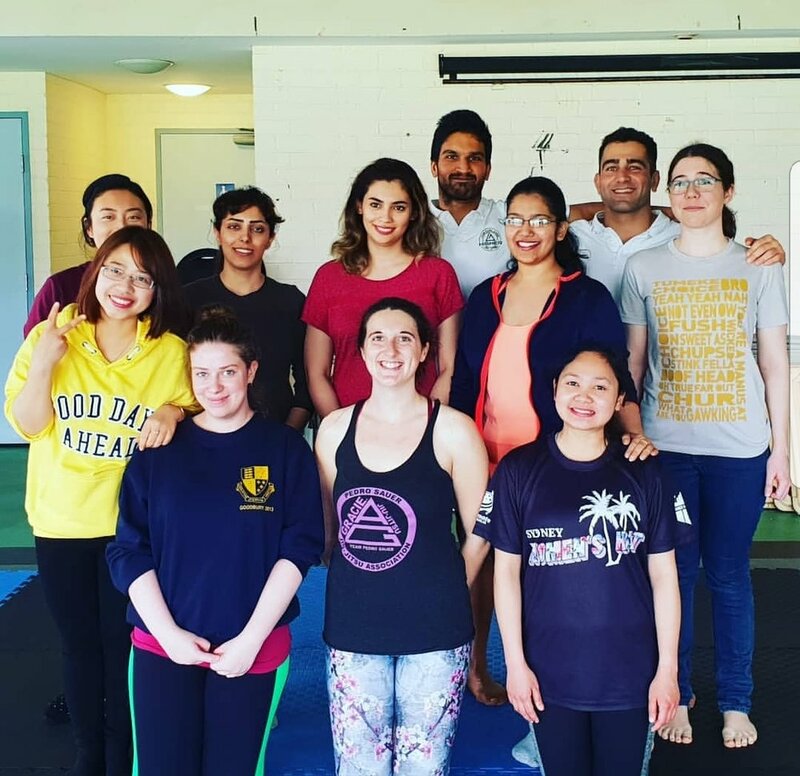 While this meant Movement class was a thing of the past, the Women's Only program has allowed many more girls to come into the school and be comfortable in getting started with learning self defence Gracie Jiu Jitsu. July was also the month of another milestone: The first group of HJJ students to complete the Gracie Jiu Jitsu pilgrimmage. Nick Mr Fix It, Zaby, Fitzy, Matty, and I travelled to Brazil to take part in the 10 day experience of a lifetime. We came back with so many memories and broke the door down for other HJJ students to also travel to Professor's residence and enjoy the Petropolis mansion. This was the month of intense learning and awesomeness on the PCYC mats. 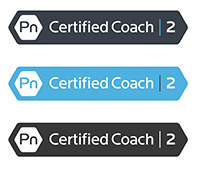 We also opened the next cohort of our Pn program, and have seen numerous students killing it, this time off the mats with the guidance and mentorship of myself and Precision Nutrition. We again started escalating the stakes and this time had Dave Camarillo out for the third time at HJJ. It was an awesome seminar learning all about the Guerrilla passing system and we're all grateful to have him sharing his own take of our art with us. The second instalment was better than ever. 7 of us joined forces, and had a weekend to remember. Good food, amazing training, and so much learning happened on this camp and we're grateful to everyone who came and made it what it was. Emma Gibson instigated a Women's Self Defence course at the UNSW Postgraduate Council. We had many girls turn up and thoroughly enjoy a course of Gracie Jiu Jitsu self defence, which proved to be fun, and inspiring by all accounts. Jits4Kids program also kicked off and has gone from strength to strength! We partnered with the PCYC City of Sydney to deliver the community's first and only Gracie Jiu Jitsu program. Together we hope we can help the kids become Bullyproof and grow up with the skills and values of the martial arts and develop into sound, honourable adults. 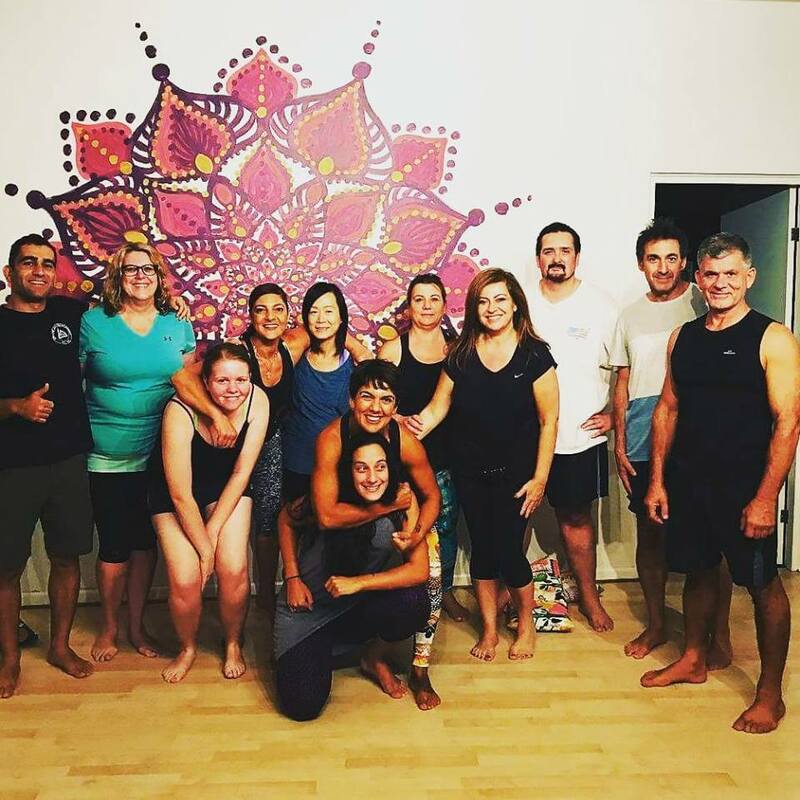 For the third time running, we had the best teacher in the whole world, our very own Master Pedro Sauer on our crummy blue mats in Woolloomooloo. We had a full house turn up and enjoy learning from the Professor of Leverage. It was a phenomenal time and the Prof proved once again why we're incredibly honoured to be a part of his Association and spread his good word of Gracie Jiu Jitsu. We continued the flavour of the Pedro Sauer Association in Sydney and hosted Burak Sarman for another one of his 'Art of Submission' seminars. It was a great event, and everyone's armbars will never be the same! Dr Emma and Phoebe repped our school for the first time ever at an Australian Girls in Gi competition. They competed valiantly, learned lots, stayed safe, and had plenty of fun. We were super proud of them, and they’ve paved the way for more of the HJJLadies to go do the same! This school stems back to a humble dream of a jiu jitsu paradise where people came together with good vibes and a love of jiu jitsu. Not many understood, and very few believed. This guy did. From day . Oscar has been here. On the mats we're training, & learning, and off them we're discussing, & devising. A student first, and also a coach, an adviser, a good friend, and a rock of our school. And it's only with this guy's help we've managed to move forward, go Higher, and get to where we are today. Our school has a unique culture, and a particular method. Not everybody who joins will fit in, and this is OK. Yet from the very first phone call I made to Nick Avery I knew he was one of us. It's a combination of his passion for self defence, his insistence on helping others, and a caring attitude on and off the mats that makes him such a valued member of our school. With a wicked test that is now the benchmark for future ones, and a level of technical proficiency to match, Mr Fix It has more than earned his purple belt, and we're honoured to have him as a part of HJJ. 3 new blue belts were awarding to these deserving students. These three came in with no experience, and yet most importantly the right attitude to learn and grow with jits. Emma Jane Gibson - Started only to appease Nick Avery’s pleas. Ends up as a devout student of the mats, technical competitor, inspiration to the HJJLadies, and proud owner of HJJ's very first home grown female blue belt. Joshh Martin Mr Nice Guy of HJJ. Josh is always on the mats practicing his skills and committed to doing things the right way. What doesn't come natural to him is made up with dedication and effort. His attitude, his new belt, and his slick moe make him the perfect role model for other students, and an integral member of HJJ. Benjamin Marks Yes he triangles everyone, but it's Benny's precision mindset, and caring attitude that makes him such a great training partner. 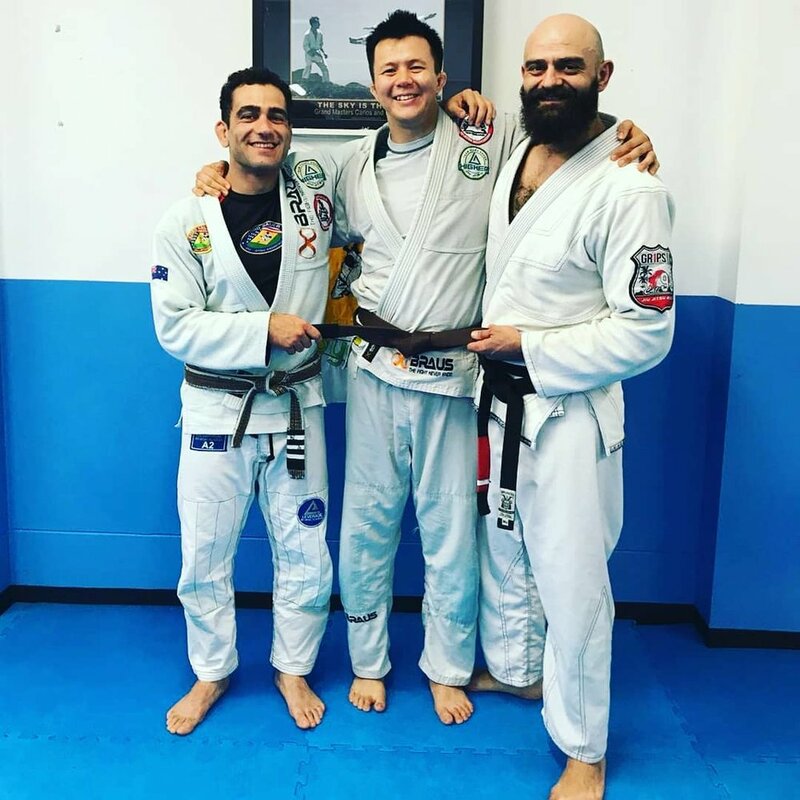 Always willing to help others, it's this selfless approach to his work on the mats that helps him do so well, and he's more than earned this new coloured belt. All of you - These belts didn't come easy and we couldn't pick better people to wear them. Now it's time to follow up the good work, continue inspiring those around you, and go Higher and Higher w/ Gracie Jiu Jitsu, on the mats and off. End of Year Grading with Phil Grapsas. We've worked hard this year. And this Friday from 6-8pm we'll be watching our very own boys and girls demonstrate their respective tests and grade to new belts. 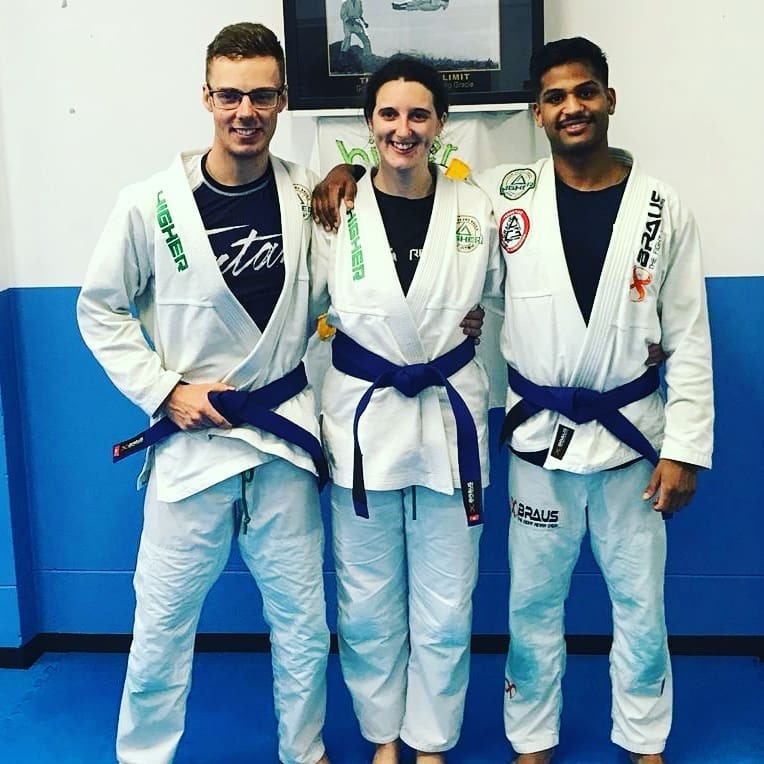 White belts Emma Gibson, Josh Martin, and Benjamin Marks, blue belt Nick Avery, and purple belt Oscar Loudon have more than earned their chance to share their skills with the group and the time is now for them to grade to their next belt. We'll be looking on at Higher Jiu Jitsu with excitement and pride as we see their hard work culminate in this moment. Yes its been a big month for the Higher crew. 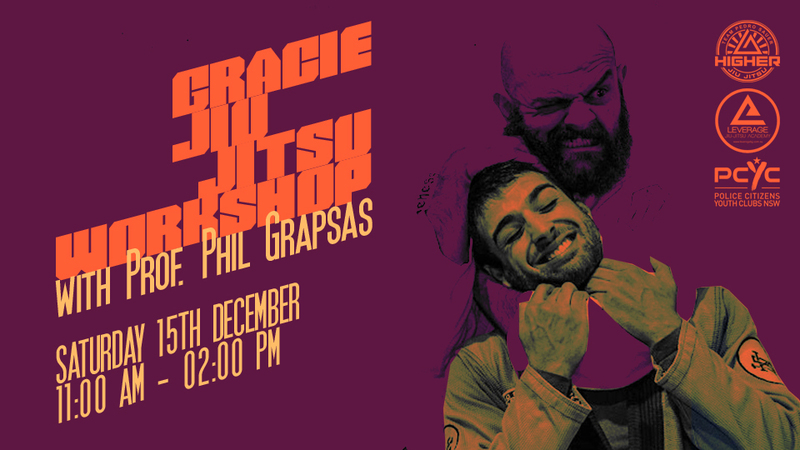 It culminated in this brilliant seminar put on by Big Prof Phil Grapsas. There were many misfortunes in getting him here over the weekend. It would have been much easier for him to stay put at home safe in Melbourne with his family & the Leverage crew. Instead he braved the crazy weather, finally made it up, ran our grading night, and put on a Gracie Jiu Jitsu Workshop for the ages. Sure we do our best here in Sydney. Still there'd be no way we could do it like this without Prof Phil's perspective, and guidance, on the mats and off. Phillip Grapsas, thanks for all you do for us & this school. It’s only with your help that we go Higher and Higher! As we can see, the year 2018 has been filled with so many events and milestones. Most inspiring of all has been the culture and the enthusiasm we've cultivated on the mats and in our classes, day in and out, for the entire year. Higher Jiu Jitsu, stand up and be proud! More hard work, that's for sure. And with consistent hard work, and dedication will come continued success wherever we choose to have it. In the next year, we'll focus on nurturing the Higher Jiu Jitsu culture even more, we'll see more coloured belts on our mats, we'll see more new enthusiastic students starting their Gracie Jiu Jitsu journey in the right way. Community - we will continue to do everything we can to nurture a loving, warm, friendly community that can serve as the perfect third place for all of our students. 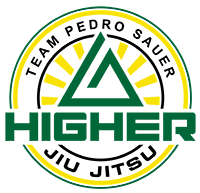 The Pn program will become more prominent as we look to improve on our habits on the mats, and as well as off them. We'll also be cultivating a Feldenkrais Awareness Through Movement practice, so that we can improve on our habits, and go from strength to strength in all aspects of our lives. Higher Jiu Jitsu is a movement, and a lifestyle and it’s unstoppable. Student by student, and class by class, we'll continue to build quality of life with Gracie Jiu Jitsu because this is what we do. And I can't wait to see it happen within each and everyone of us, on a personal and on a community level. If we dream it, and we believe it, we shall achieve it! 2019, ΜOΛΩΝ ΛΑΒΕ, Come Get It! Newer PostSelf Defence: Preparation or Paranoia?